The Italian electoral campaign for the European elections in May finally started and the latest projections on the topic have generated a turmoil in the country. According to Europe Elects, Salvini’s League is expected to be the first political force in the European Parliament with 26 seats, while the Five Star Movement, partner in the government together with League, would be in fourth position with 22 seats. The second political force in the EP is expected to be the German CDU followed by the Polish PiS, with respectively 24 and 23 seats. These figures show the polls are likely to see nationalist and far-right parties across all Europe disrupting the bloc’s balance of power, currently dominated by the center-right. League’s overtake on the Five Star Movement is impressive thinking that, following the national elections in March, the party managed to increase its votes from 17,3% (third party after Five Star Movement and the Democratic Party) to the current 32,2%. At the same time, Five Star Movement approval dropped from 32.6% to the current 25,5%. 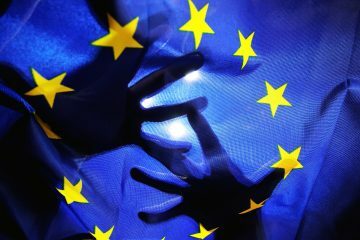 The campaign for the European elections is on and the two governing parties have undertaken different paths which are not going to merge anytime soon. 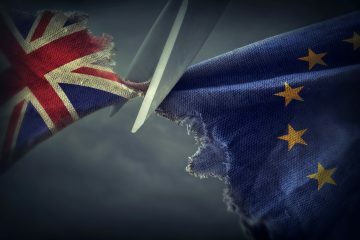 In fact, despite being both anti-establishment and often called populist parties, their common attempt to challenge the European Union status-quo runs through different approaches. Salvini’s approach to the next European elections is based on the intention of maximizing the political capital through alliances, which still are being defined, with other far-right European political forces in order to become the second or third party in the EP. So far Jarosław Kaczyński, leader of the governing Polish party PiS, joined Salvini’s coalition with the shared intent of sparking a “European spring” and replace the “Franco-German axis […] with an Italian-Polish axis”. In this sense, League’s vice prime minister position should not be seen as likely to become softer on the approach towards nor Germany nor the Union in the future, considering that one month ago Salvini himself promised to “do everything to renew a new Rome-Berlin axis”. 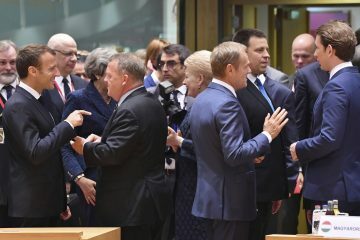 On the same ideological axis with Salvini and Kaczyński is Victor Orbàn which, although having hailed the partnership between the two leaders, is not expected to join them in the coalition but is instead more likely to stick with the Epp. Nevertheless, regardless of Orbàn’s absence, the project tries to compact the far-right front on a European level, perhaps including similar minded political forces such as Rassemblement National, Vox, FPÖ and AfD. In case such a major coalition will be put together and in case the previsions will be correct, the “grand coalition” formed by Epp and S&D will be forced to look towards the left and the greens in order to survive. In this context, Orbàn’s choice of sticking with the Epp could reveal to be an asset for Salvini and allies, undermining or even reversing the process of rapprochement between the center and the Left/Greens. On the other side, the Five Star Movement is attempting to create its own EP group, which would further fragment the anti-establishment ranks. Projections by the Brussels-based think-tank VoteWatch show that the Polish party Kukiz ’15, the Croatian Živi zid and the Finnish Liike Nyt will join the Italian party in the EP, although what can be so far seen as a strategy in enlarging the alliance did not always prove to be consistent nor beneficial to the Movement, as in the case of the gilets jaunes’ support attempt. 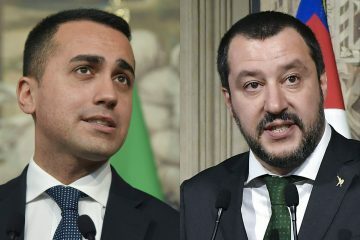 This coalition, unlike the one driven by League, does not seem to be set up as a main political force so far, which means Di Maio may face two options: on one side, the Movement could try to attract actors more relevant on the European stage close to its positions; on the other side, the Movement can look forward to reaching a minimum threshold value in order to act as a united swing on the balance of power according to its agenda. Another way of reading the party’s strategy before the elections could be that, in an attempt to chase League’s high performance in the previsions, Di Maio is “play it by ear” without a clear long-term strategy. The Five Star Movement’s alliance, which is counting rather marginal and very different parties, could be seen as a way to “sell” the party to the national electorate, proving that it is strong enough to guide a European coalition and thus able to carry on the national agenda. Either way, the party is expected to release the last version of its Manifesto for the new group in February and around that time it should be clear whether the strategy directed towards the gilets jaunes and the coalition paid off, and in case what could happen next. 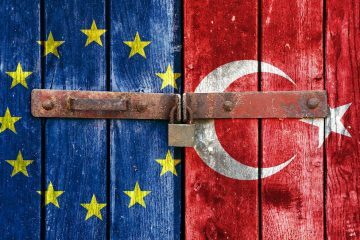 Officially, the two parties are going to be opponents only during the EP elections, but it is extremely unlikely for the results not to have a national fallout. League’s strategy in the last months has paid off in the sense that the party managed to collect a significant political capital within the electorate and as a result the “yellow-green” government is starting to seem shakier than ever. Firstly, the European electoral campaign together with the evident shift in power balance within the coalition forced the Five Star Movement to move without success more to the left of the political spectrum, being the room for manoeuvre limited on the right as a result of League’s growth. Secondly, Prime Minister Giuseppe Conte seemed to be seeking a more active and pro-active role within the government, de facto dropping the super partes role and thus started leaning towards Di Maio rather than Salvini. Lastly, League overstretched the dialogue with the ally as a result of very aggressive positions on matters that did not find place in the contract of government the two parties signed before the alliance took shape, as for the case of the Turin–Lyon high-speed railway (TAV). Amongst the subject on which the two parties can’t agree we can count numerous Five Star Movement’s electoral promises as the stop to the TAV and TAP projects, the withdrawal from drills’ license in the Adriatic Sea, the proposal on cannabis legalization. At the same time concrete proposals on both a pension reform to move beyond the so-called “Fornero law” – an electoral promise common to both the parties – and the basic income package (known as “reddito di cittadinanza”) proved to be extremely problematic for the two governing parties, and still their implementation is likely to present major issues. The current situation presents one party – the Five Star Movement – losing consensus and positions in both major local administrations and senate and actually incapable of achieving concrete results on the electoral campaign promises, and the other – League – scoring victories in the public opinion, frequently through acts that are inappropriate if not illegal for the office the party members are holding within a democratic state, and carrying on the far-right agenda based on electoral promises regarding migration and security policies. While until now both Di Maio and Salvini denied any friction within the government or any willingness of reshuffling the cabinet, it is unlikely the topic has not been discussed in any of the two parties’ meeting. 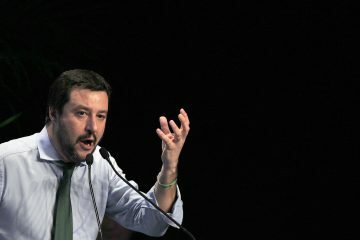 So far in fact, the intention not to pull the government’s plug relies uniquely on Salvini’s shoulders and therefore should not be read as a proof of the government’s stability on the long term but rather on League’s intention to invoke early elections when most suitable, possibly after the envisaged success at the EP elections. Whit this in mind, the continuing tensions between the two parties, for example regarding the migration policies and the approach to crises such as the last one involving the Sea Watch and Sea Eye vessels, the internal scandals and political slips may serve to the purpose of creating a crisis solvable only through new elections. Undeniably, there is one part of the Italian electorate that has not been the main focus of the “yellow-green” government so far: youth. No policies to unlock the under-30 labor market have successfully been put in place, youth unemployment and youth inactivity have not been tackled, the increase in funds for universities and research that has been implemented is in line with the one provided by previous governments and does not increase Italy’s current investment of 3.9% of its GDP, against an average 4.7% in Europe. The hiring freeze in the University sector and in the national social security institution (Inps) until next November stops a total of 2,698 young officials’ recruitments already scheduled for 2019. March elections proved that the population groups composed by 18-24 and 25-34 years old have been the groups with less abstention (respectively 13,8% and 15,4%). At the same time, the young electorate have proved to be important for both the governing party with 39,3% of the 18-24 years old and 39,9% of the 25-34 years old voting for the Five Star Movement and respectively 21,2% and 15,1% for the League, with only 15,4% and 12,3% for the Democratic Party. In the case in which the failed policies regarding youth employment, university and research will shift the youth electorate towards non-anti-establishment parties, it could play an important role not only at a national level, in the event of new national elections, but also in the upcoming European elections.